Spicy shrimp tacos are a fun and festive dish to serve for a casual party. You can make them low carb by making your own tortillas from coconut flour and eggs as in the recipe below. I make these tortillas all the time, filling them with chicken, beef, fish and other taco-seasoned stuffing. The tortillas are surprisingly easy to make, cooking up in a skillet in just a few minutes. They are delicate, though, so be gentle when lifting and flipping them. I cook them in a cast-iron skillet and use a thin but sturdy metal spatula to flip them. 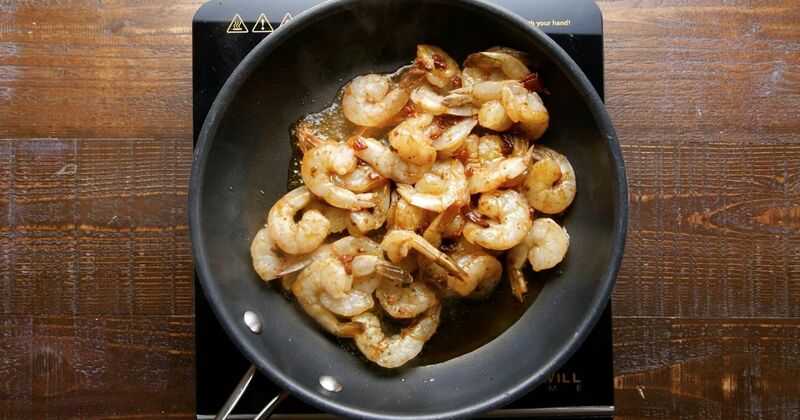 To make the shrimp: in a medium bowl, combine the shrimp, 1 tablespoon of olive oil, garlic, chipotle chile, vinegar, salt and pepper and toss to mix well. Refrigerate for 30 minutes. While the shrimp is marinating, make the tortillas. In a blender, combine the coconut flour, egg whites, water, baking powder, and salt and blend until smooth and well combined. Let the mixture rest for 5 minutes. Heat a small skillet over medium heat and spray with coconut oil. Add 1/4 cup of the batter to the skillet at a time, tilting the pan to spread the mixture out to cover the bottom completely. Cook until the edges brown, about 3 minutes, and then carefully flip the tortilla over and cook until the second side begins to brown, 1 to 2 minutes more. Transfer the cooked tortillas to a plate and repeat with the remaining batter to make 6 tortillas. Heat the remaining 2 tablespoons of olive oil in a large skillet over medium-high heat. Add the shrimp and cook, stirring frequently, until the shrimp is pink and cooked through, about 5 minutes. 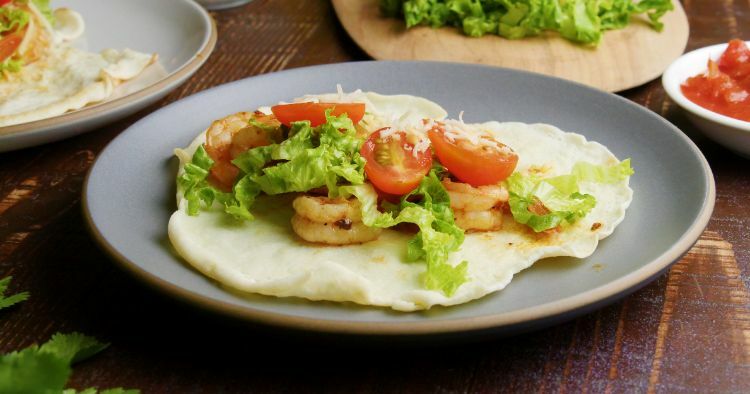 Serve the shrimp on the tortillas with shredded lettuce, avocado and salsa.